New Canaan Police and EMTs responded to an accident on South Avenue Wednesday at about 7:45 p.m. According to witnesses, a bicyclist collided with a silver Honda at the intersection of Route 106. A 46-year-old Fairfield bicyclist was issued a summons Wednesday after colliding with a car in New Canaan. 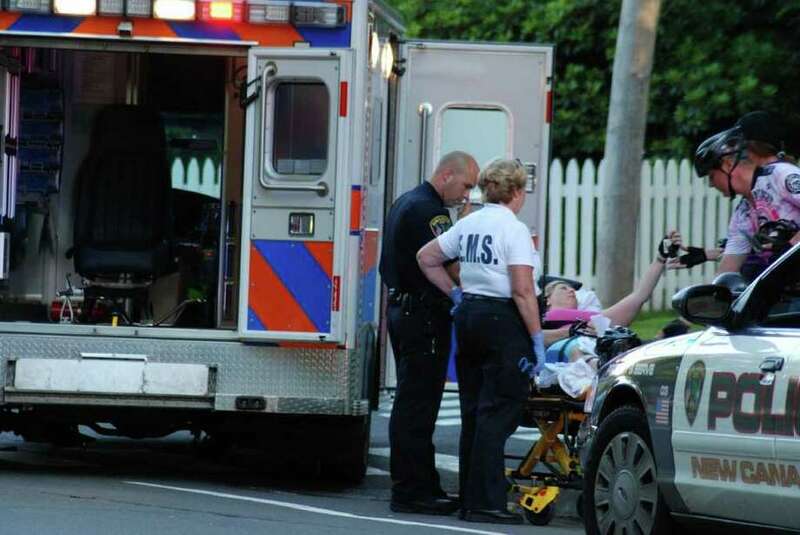 Denise Marchese was issued a summons for failing to obey a red light after she hit a silver Honda at the intersection of Bank Street and South Avenue in New Canaan about 7:45 p.m. Wednesday. Marchese was riding south on South Avenue with a group of bicyclists, police said. In attempting to catch up with the group, however, she went through a red traffic light and hit the left front fender area of the vehicle, police said. The driver of the car was a 31-year-old New Canaan woman who told police she was waiting on Bank Street for the light to turn green when the bicyclist hit her vehicle as it was turning onto South Avenue. Marchese was transported to Norwalk Hospital for treatment of injuries she suffered in the collision.